The SMA regrets to announce the death of Fr Donal Michael O’Connor which took place at the St Theresa’s Nursing Unit at the SMA House on Blackrock Road, Cork. Fr Donie, as he was known among his confreres, who died at 5.40pm on Friday, 31 May 2013, had been battling cancer for some time. One confrere described Donie as ‘a man of courage and independence’. In his last months, he demonstrated that, quietly resigned to the terminal nature of his illness and reconciled to his impending death. And why not, for Donie was a man who walked with God everyday. And as he faced his death, Donie knew he was returning to the House of the Father. May he now rest in peace. Fr Donie was born at 22 Castelcountess, Tralee on 28 April 1933, to Michael O’Connor and Catherine (née Ryle). He was the only boy in a family of three children. His sister, Honor O’Connor, lives in Tralee and his other sister, Catherine (Maguire) lives in Co Wicklow. He was baptised two days after his birth and made his confirmation on 15 May 1944. His early schooling was at the local Primary school and he did his Leaving Cert at the CBS Tralee (The Green). Donie had two cousins in the SMA, Fathers Tom and Micheál Kennedy. Perhaps that influenced him to join the SMA, which he did by entering the SMA Novitiate at Cloughballymore, Kilcolgan, Co Galway. He became a member of the Society on 2 July 1952 and, after completing his theology studies in Dromantine, Newry, Co Down, he was ordained in St Colman’s Cathedral, Newry on 13 June 1956. Academically gifted it was decided that the newly-ordained priest should pursue Further Studies at Cambridge from 1956 to 1960 and he graduated with an MA Degree. The SMA has always seen education as a means of escaping from poverty and Fr Donie was thus sent to teach at St George’s College in Cairo, Egypt (1960-1964). That year he was transferred across the continent to the teaching staff at St Patrick’s College, Bashorun, Ibadan in western Nigeria. 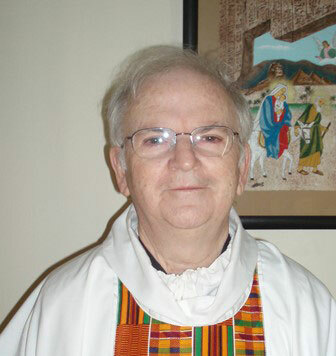 His cousin, Fr Micheál, was Principal of the other Catholic College in Ibadan: Loyola College. Four years later Fr Donie was recalled to Ireland to assist in the training of SMA seminarians at the Novitiate at Wilton, Cork as Director and Acting Superior. Recognizing the need to have suitably qualified formators to ensure a holistic training for SMA seminarians Fr Donie was then sent to Boston College to undertake studies in Counselling (1969-1971). On his return he was appointed to the teaching staff at the SMA Major seminary at Dromantine. When the Society decided to transfer all its students to study at St Patrick’s College, Maynooth, Fr Donie was asked to be part of the reduced formation staff there. From 1972 to 1983 he served in different roles, as Dean of Students, Spiritual Director and Rector at the SMA House in Maynooth. After a Sabbatical Year in Berkeley, California where he deepened his understanding of Spirituality and Counselling, Fr Donie was seconded to the SMA British Province initially as a member of the Formation staff and later as Superior of the SMA House in Lyonsdown Road, New Barnet, London. From 1990 to 2006 Fr Donie was the Parish Priest at the SMA parish in Walthamstow: Our Lady and St Patrick’s. Those SMA priests and deacons who served with him there found him to be a gentle and deeply spiritual man. But he was also determined in anything he felt needed to be done. His quiet-spoken voice belied a man of steel when such was needed. At the same time, Fr Donie inspired many people in the parish and he was surrounded during his years there by devoted friends and parishioners. Fr Donie retired in 2006, initially in London and, since 2010, in Tralee. In recent months, following hospitalisation in Tralee and Cork, Fr Donie came to Blackrock Road where, with the devoted care of his friends and Nursing staff, he died peacefully. He is deeply regretted by his two sisters, nephews, nieces, other relatives and friends as well as his confreres in the Society of African Missions. His funeral Mass and burial will take place on Monday, 3 June 2013, at St Joseph’s SMA Church, Wilton, Cork.